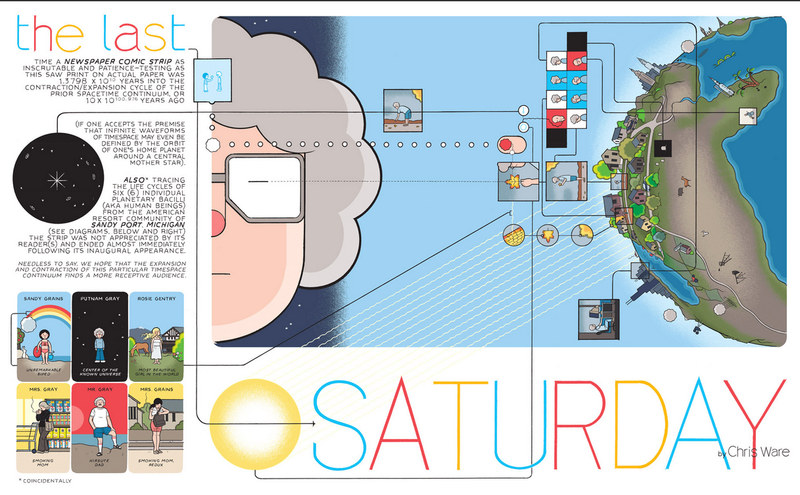 Thought you might like a heads up that The Guardian has started publishing on its web site The Last Saturday, "a brand new graphic novella by the award-winning cartoonist Chris Ware, tracing the lives of six individuals from Sandy Port, Michigan." It will be published in weekly episodes, with a new installment appearing on this page every Saturday. The innovative comic book artist, known for his graphic novels Jimmy Corrigan, the Smartest Kid on Earth and Building Stories, will be getting some good support from the Guardian Interactive team, which should make it quite the visual experience.